created by the producer in collaboration with the musicians -- became the definitive version.Moorefield, a musician and producer himself, traces this evolution with detailed discussions of works by producers and producer-musicians including Spector and Martin, Brian Eno, Bill Laswell, Trent Reznor, Quincy Jones, and the Chemical Brothers. Underlying the transformation, Moorefield writes, is technological development: new techniques -- tape editing, overdubbing, compression -- and, in the last ten years, inexpensive digital recording equipment that allows artists to become their own producers. 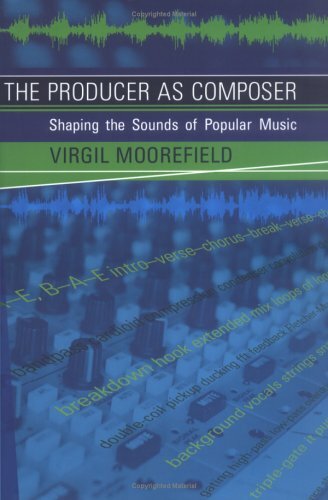 What began when rock and pop producers reinvented themselves in the 1960s has continued; Moorefield describes the importance of disco, hip-hop, remixing, and other forms of electronic music production in shaping the sound of contemporary pop. He discusses the making of "Pet Sounds and the production of tracks by Public Enemy with equal discernment, drawing on his own years of studio experience. Much has been writtenabout rock and pop in the last 35 years, but hardly any of it deals with what is actually heard in a given pop song. "The Producer as Composer tries to unravel the mystery of good pop: why does it sound the way it does? "Mr. Self Destruct" v. "Irresponsible Hate Anthem"
The Contemporary Situation: Is the Producer Obsolete?